This is definitely something out of the ordinary - a Class 115 railtour! 51676 leads 59654, 59753, & 51671 past Stenson Junction on 2 June 1984 with the R.E.S.L. 1T08 07:00 Marylebone to Crewe 'Midland Engineer' railtour. DMU railtours have certainly declined in popularity in favour of loco hauled traction based tours, and nowadays are very unusual. 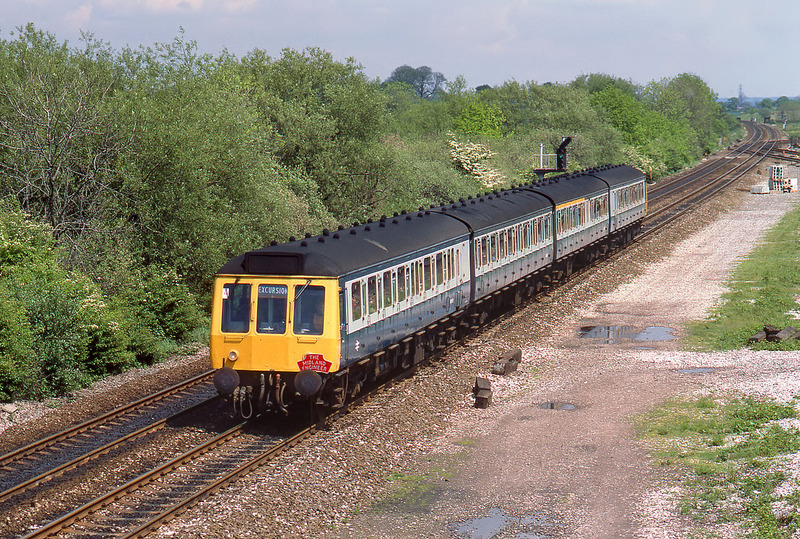 In the 1960s and 1970s however they were relatively common as they suited the branch line 'track bashing' type tours which were common before most such branches were closed.